Free on January 17 & 18, 2013! 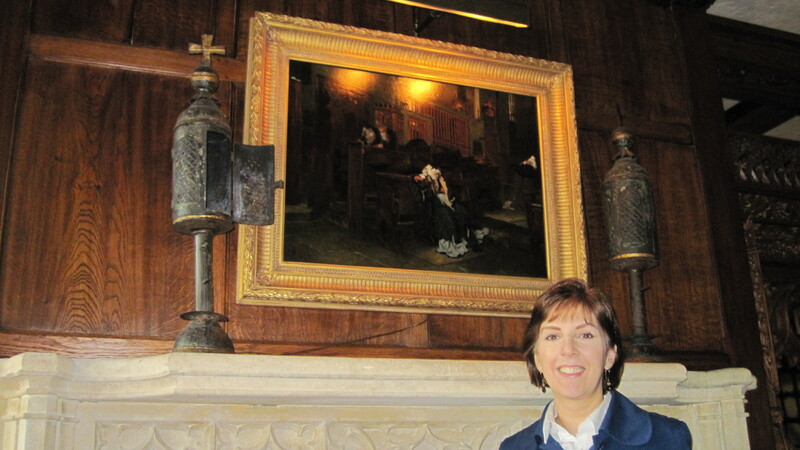 At the Hermitage Museum in Norfolk, Virginia with an 1865 Tissot, Marguerite in Church. Welcome to my blog! I’m continuing to chronicle the early years of French painter James Tissot (1836-1902) and his friends Edgar Degas (1834-1917), Édouard Manet (1832-1883), Berthe Morisot (1841-1895), James McNeill Whistler (1834-1903), Gustave Courbet (1819-1877), John Everett Millais (1829-1896) and Lourens Tadema (later Lawrence Alma-Tadema, 1836-1912). 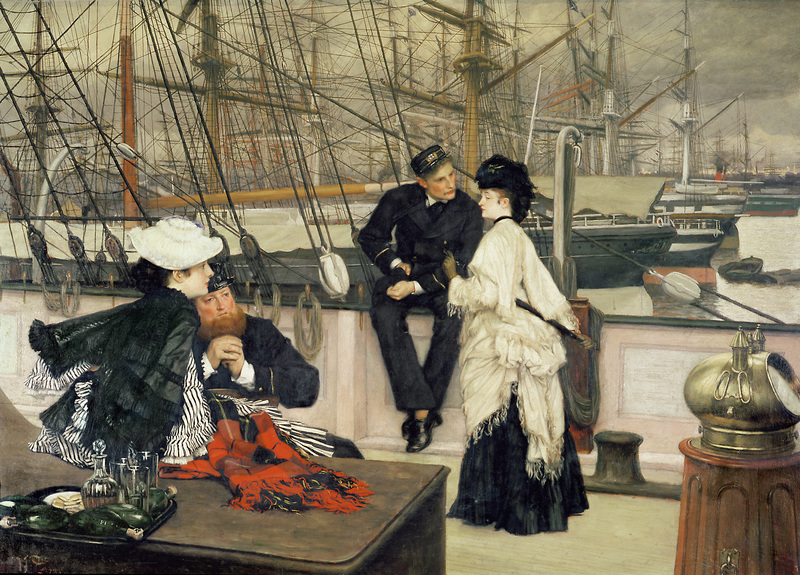 My new release, The Hammock: A novel based on the true story of French painter James Tissot, illustrated with 17 full-color, high-resolution fine art images courtesy of The Bridgeman Art Library, is free on January 17 and 18, 2013 at http://amzn.to/RBCZiu. You will find a recent review at the bottom of this post. My blog has had visitors from 63 nations including the U.S., Canada, U.K., Ireland, Russian Federation, France, Belgium, Netherlands, Switzerland, Germany, Romania, Slovenia, Slovakia, Latvia, Georgia, Hungary, Ukraine, Czech Republic, Serbia, Estonia, Italy, Malta, Greece, Poland, Spain, Portugal, India, Pakistan, United Arab Emirates, Kuwait, Saudi Arabia, Turkey, Egypt, South Africa, Thailand, Mongolia, Australia, Mexico, Chile, Columbia, Argentina, Peru, Costa Rica, Brazil, Venezuela, Bermuda, Malaysia, Indonesia, Bulgaria, Israel, Viet Nam, Hong Kong, Japan, Taiwan, Singapore, Republic of Korea, Cambodia, New Zealand, Iceland, Finland, Norway, Sweden and Denmark! Please leave a comment to let me know what you find most enjoyable on my blog, and tell me a bit about yourself. I invite you to read The Hammock: A novel based on the true story of French painter James Tissot – and to share your review on my page on amazon.com, http://www.amazon.com/dp/B009P5RYVE, or at http://www.goodreads.com/. As an admirer of splendid French art of the 19th and 20th centuries, I often stop to read the details of a particularly compelling painting when visiting art museums. Yet the museum experience scarcely conveys the forces surrounding the artist – world events, personal dramas, the larger societal and political stages – that inform the art. Lucy Paquette’s The Hammock is a lovingly, intelligently rendered story that effectively portrays the teeming, changing world that forged James Tissot’s vision as an artist. We learn not only of his military service to France during the Franco-Prussian War, but also of his dogged commitment to rebuild his career and fame in Britain after fleeing the violent throes erupting throughout Paris; we learn of the bitter betrayals and jealousies among the artists of his day, many of whom were friends or acquaintances. We learn of his romantic liaisons, desires and disappointments, of his ambitions and heartbreaks as he struggles to achieve critical acclaim (from a morally corrupt but powerful critic) while earning vast sums from the sale of his paintings and prints, often to the “lower class” moneyed tradesmen in a socially stratified British society. Ms. Paquette, who painstakingly researched the life of James Tissot, has filled her novel with lyrical, insightful, lively dialogue that breathes life into its subjects and allows the reader to experience the social, political and cultural transformations and upheavals that shaped Tissot’s world. Importantly, we meet the mysterious muse, Kathleen, who played a pivotal role in his life. It is a richly envisioned world, and Ms. Paquette is to be commended for her painterly language and smart storytelling: The Hammock is a satisfying and enlightening read. I recommend it! This entry was posted in Art blog, Art History, Impressionists and tagged Édouard Manet, Berthe Morisot, Edgar Degas, Jame McNeill Whistler, James Tissot, John Everett Millais, Lawrence Alma-Tadema on January 17, 2013 by Lucy Paquette, author of The Hammock: A novel based on the true story of French painter James Tissot.